property would benefit from modernisation. Viewing highly recommended. Entrance door, two radiators, access to lounge diner, kitchen, three bedrooms and bathroom. Two uPVC windows to front, two radiators, would burner in fireplace. 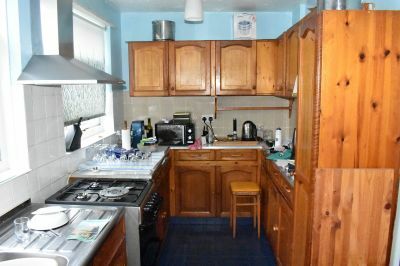 work surfaces, space for fridge freezer, plumbing for washing machine, space for cooker, door to. Window to side, door to rear garden, boiler on wall. Obscured window to side, radiator, WC, pedestal wash hand basin, shower cubicle. Window to rear, radiator, vanity unit wash and basin. Two radiators, double glazed window to side, fitted wardrobe. 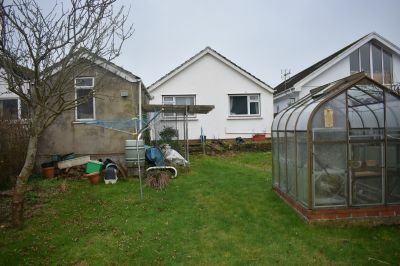 Level rear garden, grass lawn, greenhouse, two sheds, gated access onto rear lane leading to field. 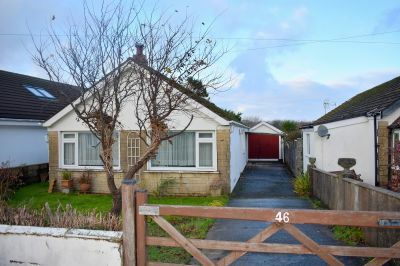 Fantastic opportunity to purchase this deceptively spacious 3 bedroom detached bungalow located in thevery sought after South Gower village Pennard. With 3 Cliffs Bay on your door step this property has a lot to offer, comprising: Side Entrance Hallway, Lounge/Diner, Kitchen, 3 Bedrooms and Bathroom. Externally a gated entrance driveway enough for multiple cars can be found along with front grass lawn and detached single garage. 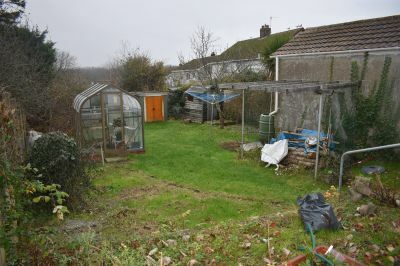 To the rear is grass lawn, green house and two detached sheds with gated access to a rear lane. The property would benefit from modernisation. Viewing highly recommended. Gated entrance, front lawn with tree, long driveway down to detached single garage. Side access to rear garden.